My name is Angel Carter, (She, Her, Hers, Herself), and I am a rising senior from Atlanta, GA. I am on the Pre-Med track double majoring in Cell and Molecular Biology (CMB) and Anthropology. 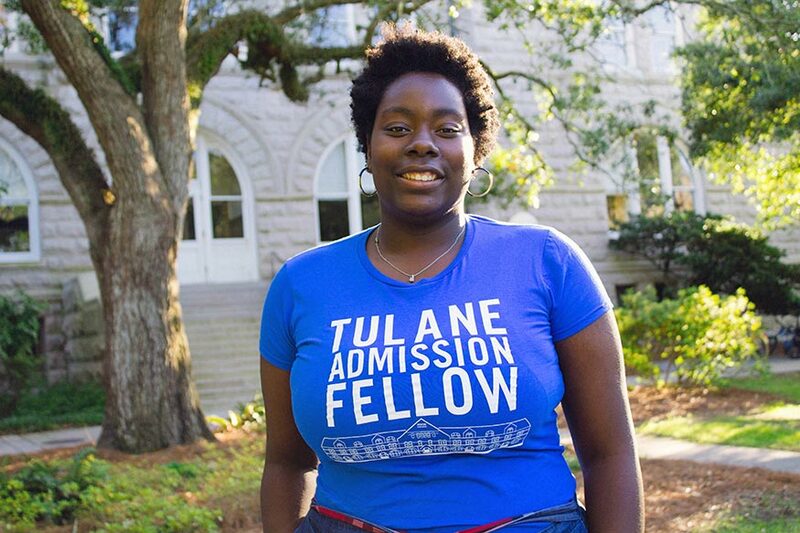 On campus, I serve as president of the Green Wave Ambassadors, an Admission Intern in the Office of Undergraduate Admission, a Resident Advisor in Josephine Louise Hall, a researcher in one of the CMB labs, and a tutor for elementary and middle school students. 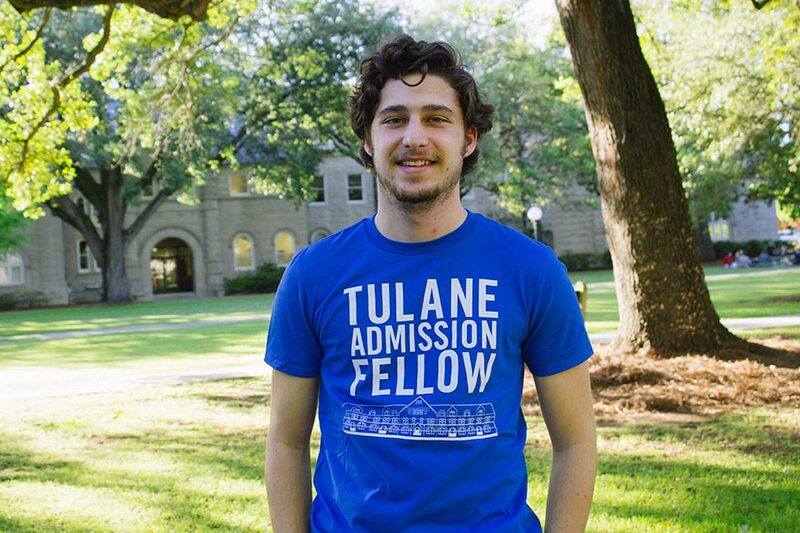 In addition, I am a member of the Tulane University Marching Band and the Honors Program. Fun fact about my life: many of my friends know me by my pride of being an avid Marvel superhero fan and my love for randomly breaking out into song. Feel free to reach out to me anytime, and I can't wait to meet you all this summer! Hey Y'all! My name is Austin Rose, (He, Him, His, Himself), and I am a rising senior from Lake Charles, Louisiana, and I am currently completing a bachelor's degree in Biological Chemistry with a minor in Public Health. 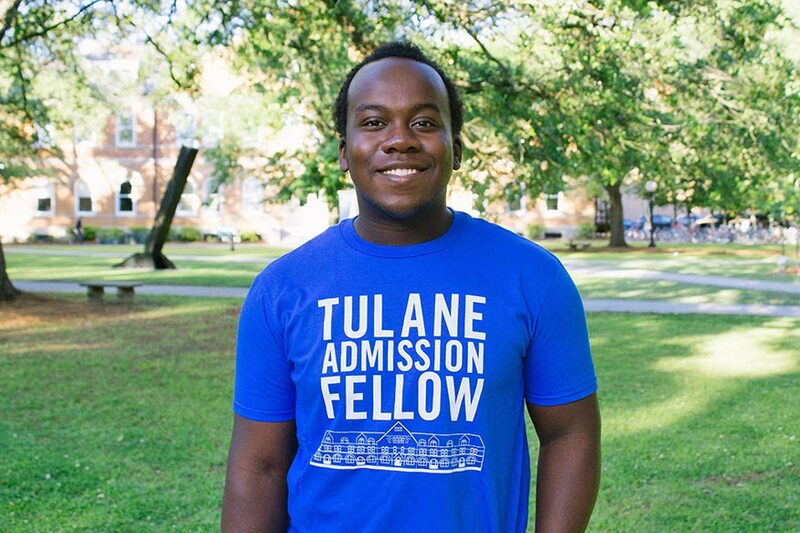 On campus, I am involved in Green Wave Ambassadors, Tower and Crescent, the Tulane men's rowing team, and Alpha Kappa Psi professional business fraternity. I recently spent a summer abroad in Chile studying Spanish through a program that aims to develop bilingual physicians, and I aspire to go to medical school after earning my undergraduate degree. In my spare time, I enjoy perfecting my Cajun cooking, exploring the world around me, and learning about the mysteries of the universe. Hi, my name is Henry Stoddard, (He, Him, His, Himself), I am a rising senior from Portland, ME. I am majoring in Public Health and Psychology. 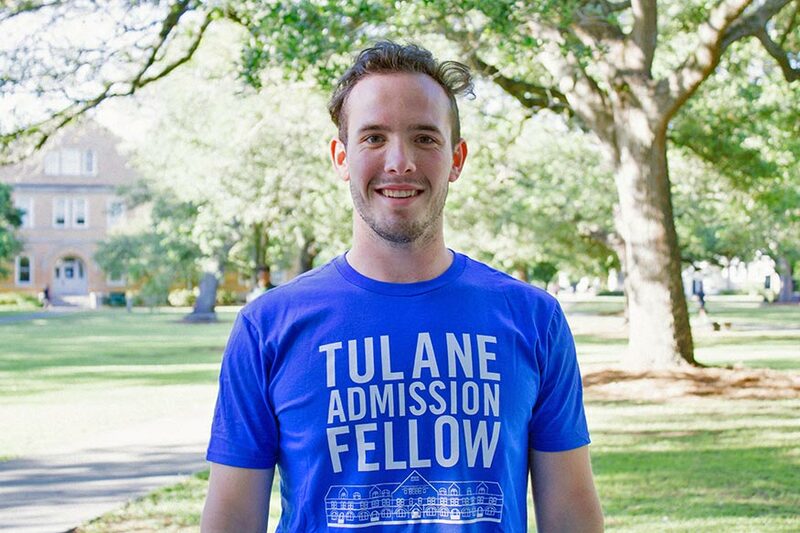 On campus, I am involved in Tulane Emergency Medical Services, Tu Tones Acapella, Tulane Men's Ultimate Frisbee, and TUlinked. In addition to being a Summer Admissions Fellow, I work in an evolutionary and social psychology lab. So far, my favorite class was my TIDES class called "The Big Lebowski and the Philosophy of Life". I look forward to sharing my Tulane experience with y'all! Hey y'all!! My name is Kate Moranski, (She, Her, Hers, Herself), and I am a rising junior from Springfield, IL. I am majoring in History and Art History and minoring in Social Innovation and Social Entrepreneurship (SISE) and the School of Liberal Arts Management Minor (SLAMM). On campus, I am involved in various activities including the Board of Directors for Staff Recruitment for New Student Orientation 2018, a Panhellenic Council Sorority, CACTUS Academy, Tulane Performing Arts Society, and Green Wave Ambassadors. Freret Street is my favorite in the city. You can find me at one of the cafes, Rook or Mojo, or across the street at Piccolo Gelateria which has amazing gelato!! I cannot wait to get to know all of y’all this summer! Hi, I'm Kennon Stewart (He, Him, His, Himself), and I'm a rising sophomore from Detroit, MI majoring in mathematics and sociology. On campus, I'm a Green Wave Ambassador, Center for Academic Equity research fellow, Diversity and Inclusive Excellence Committee member, Gender and Sexuality Advisory Committee president, and professional Beyoncé fan. When I'm not yelling about math on the third floor of Gibson Hall, you can find me at Boswell's in Mid-City or Hollygrove hanging with my friends. It's super nice to meet you! Hi y'all! 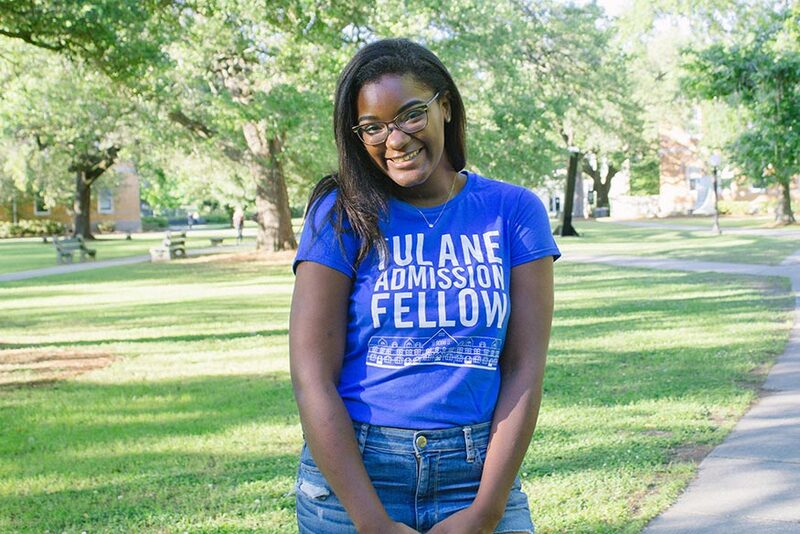 My name is Lauren Gaines (She, Her, Hers, Herself), and I am a rising junior from Baton Rouge, LA. I am majoring in Communications and minoring in Political Science. On campus, I am involved in the Undergraduate Student Government, Tidal Wave Homecoming Committee, Alpha Kappa Psi Business Fraternity, The Tulane Hullabaloo, and I'm a Resident Advisor in Josephine Louise Hall. I’m a big movie buff so my ideal night is cooking a good meal and curling up to watch a film! I’m so excited to meet everyone this summer! Hi, my name is Shahamat Uddin, (He, Him, His, Himself), and I am from Roswell, GA. I am a rising junior majoring in Political Economy with a secondary self-designed major, Middle Eastern Studies with a concentration in Gender & Sexuality. I am also minoring in International Development. 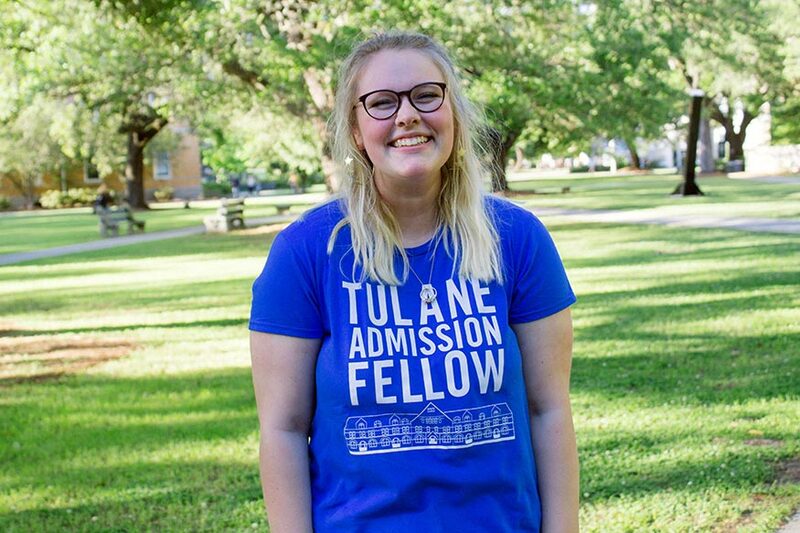 On campus, I serve as a nationally certified EMT with Tulane Emergency Medical Services, a Senator for the Undergraduate Student Government, an Undergraduate Research Fellow with the Tulane Center for Academic Equity, and a Community Engagement Advocate for the Center for Public Service. In addition, I am the founder and a competitor for Tulane’s slam poetry team Rhyme Verses Rhythm and an executive board member the Muslim Students Association. My favorite class at Tulane has been Feminist Political Theory with Professor Menaka Philips. I can’t wait to meet y’all! I am Zekun (Sam) Wu, (He, Him, His, Himself), a rising junior from Jiangxi, China. I am majoring in Finance, Marketing, and Computer Science. I hold various positions on campus and am involved in all kinds of organizations. 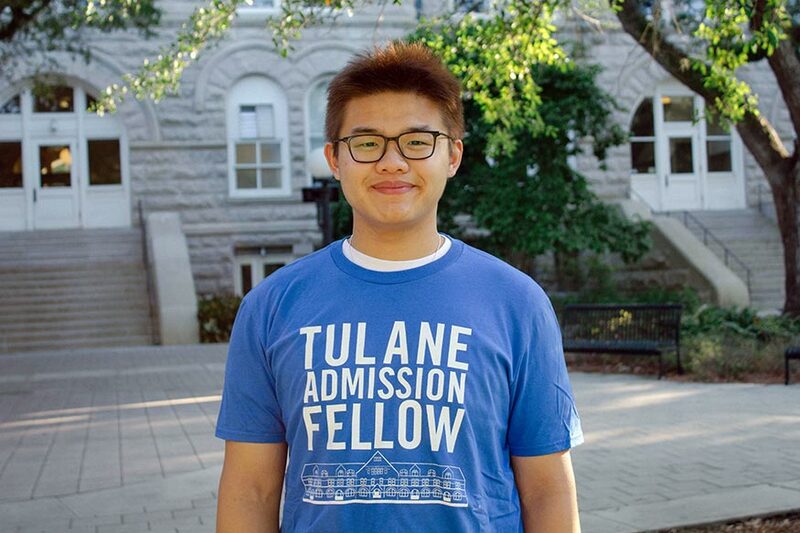 I am the president of TCSSA (Tulane Chinese Students and Scholars Association) and one of the Global Ambassadors in the Office of Undergraduate Admission. I was the treasurer of TUVA (Tulane Vietnamese Association), the programming committee chair in ISAB (International Student Advisory Board), and one of the event services team members in LBC (the student union). I am easygoing, open-minded, and love exploring the city. During Christmas Eve this past year in New Orleans, I rode my bike from Uptown to Downtown enjoying all of the lights and festivities. 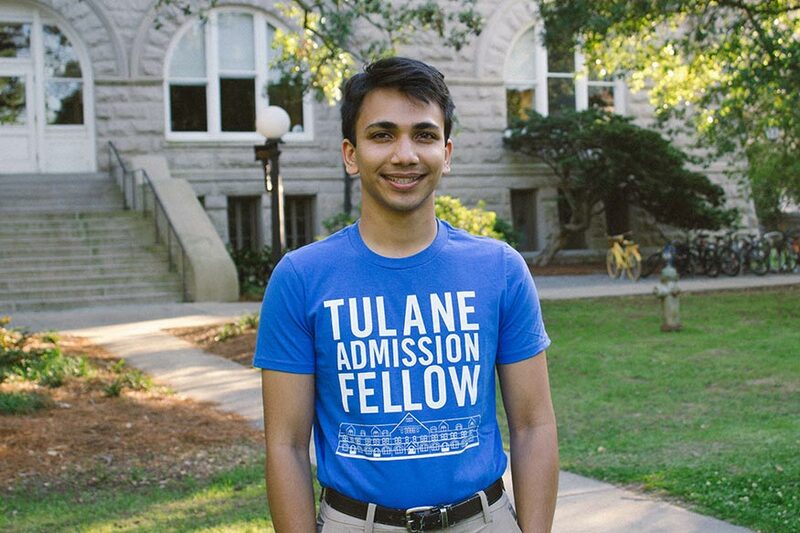 I am extremely excited to meet you guys and share my precious experience at Tulane with you.